How often have we heard of ghost stories of apparitions appearing as women in white. White Lady legends are found in all cultures around the world. 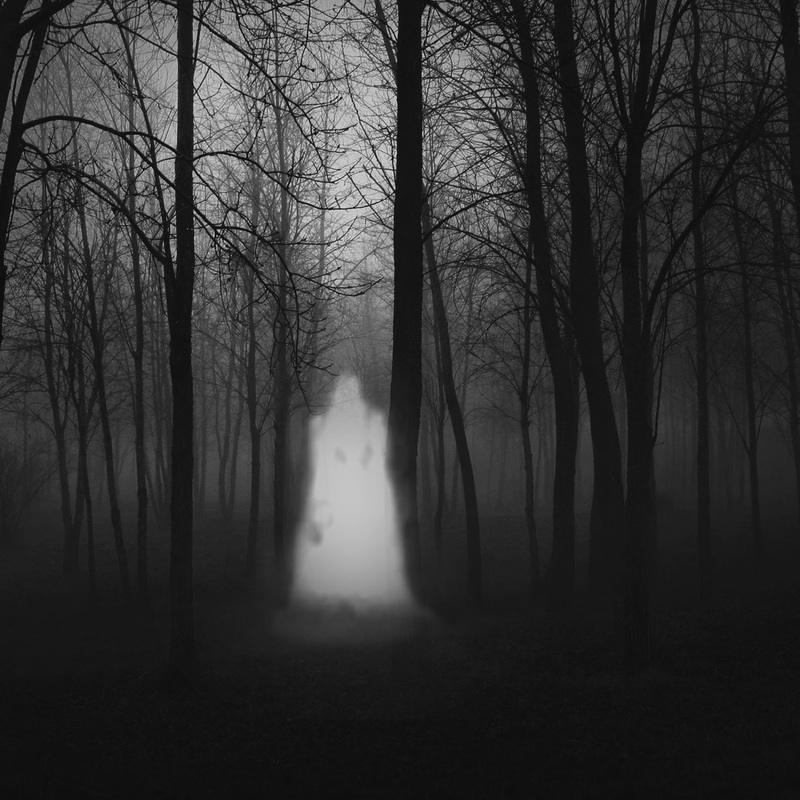 Here are some of the better known ghost stories about ladies in white. By definition a "White Lady" is a type of female ghost reportedly seen in rural areas and associated with some local legend of tragedy. Common to many of them is the theme of losing or being betrayed by a husband, boyfriend or fiancé. They are often associated with an individual family line or said to be a harbinger of death similar to a banshee. In popular medieval legend, a White Lady is fabled to appear by day as well as by night in a house in which a family member is soon to die. 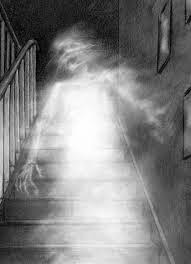 These spirits were regarded as the ghosts of deceased ancestresses. The White Lady known as the "Running Lady of Beeford",East Yorkshire,resides on the "Beeford Straight", a stretch of road between Beeford and Brandesburton. Motorists have reported her apparition running across the Beeford Straight toward the junction of North Frodingham. Anecdotal tales also report a motorcyclist picking up a female hitchhiker on the same stretch of road. A few miles later the motorcyclist, upon turning around, noticed the passenger had vanished. In one instance, a car crashed into a tree killing 6 people. It is rumored to be because of her curse. Another legend tells of a "White Lady" jumping off the Portchester Castle while she was carrying a child she didn't want. Her spirit is said to haunt the castle to this day. 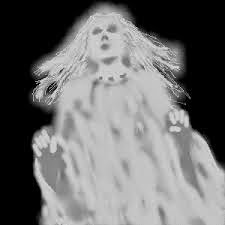 "The White Lady of Acra" (New York) is a legend of a young woman dressed in all white supposedly seen at night along the road she last traveled on or near the cemetery not far from her fatal accident. Branch Brook Park in Newark, New Jersey, is home to the legend of the "White Lady of Branch Brook Park". Two conflicting stories are told about this ghost. In one version, the lady was a newlywed who was killed along with her husband on her wedding night when their V 8 Ford Mustang skidded out of control and crashed into a tree in the park. In another version, the couple were on their way to a prom when their limousine crashed; the boy lived but the girl died, and she is allegedly still looking for her prom date. 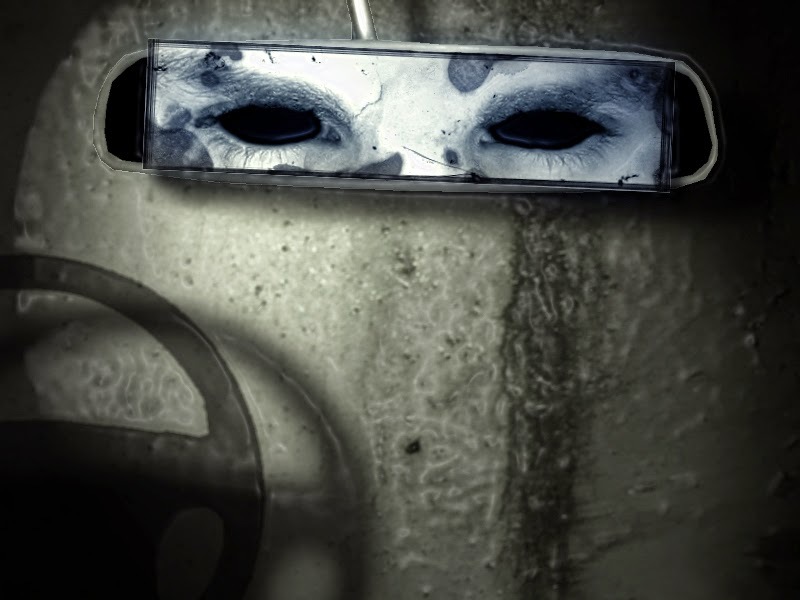 It was said that on rainy or misty nights passing headlights produced a ghostly image crossing the road. There is some evidence that the details of this legend have been borrowed or blurred into other legends. Tolamato Cemetery in St. Augustine, Florida, has been home to stories of a haunting by a "lady in white" since the 19th century. 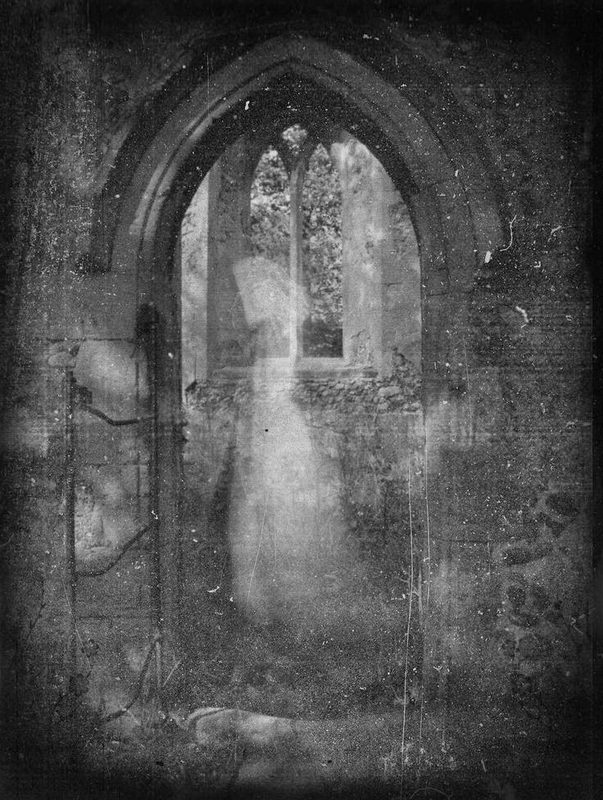 Legend states that the ghost is the spirit of a young woman who died suddenly on her way to be married, and who was buried in her wedding dress. A white woman was first reported to be seen in the Berliner Schloss Castle in 1625 and sightings have been reported up until 1790. This castle is the residence of the Kings of Prussia, so the Lady has been linked to several historical figures: the guilt-ridden countess Kunigunda of Orlamünde, who, according to legend, murdered her two young children because she believed they stood in the way of her marriage to Albert of Nuremberg. In the eastern and the northern of the Netherlands farmers tell stories about the Witte wieven (white ladies). These white ladies who come in the mist and are from the moors, apparently are guilty of evil doings like abducting babies and women and bring disaster to people who have made them cross. But there are also stories that say that the white ladies have actually helped people in childbirth, or people have given good advice. In Slavic Mythology, a white lady was the ghost of a girl or young woman that died violently, usually young women who committed suicide, were murdered or died while imprisoned. The ghost is usually bound to a specific location and is often identified as a specific person like the Countess of Hungry, Elizabeth of Bathory. Elizabeth of Bathory has been labelled the most prolific female serial killer in history, though the precise number of her victims is debated. Báthory and four collaborators were accused of torturing and killing hundreds of girls between 1585 and 1610. The highest number of victims cited during Báthory's trial was 650.Stories which ascribe to her vampire-like tendencies (most famously the tale that she bathed in the blood of virgins to retain her youth) were generally recorded years after her death and are considered unreliable.Despite the evidence against Elizabeth, her family's influence kept her from facing trial. She was imprisoned in December 1610 within Csejte Castle, Upper Hungary, now in Slovakia, where she remained immured in a set of rooms until her death four years later. immurement (from Latin murus "wall"; literally "walling in") is a form of imprisonment, usually for life, in which a person is, for example, locked within an enclosed space and all possible exits turned into impassable walls. This includes instances where people have been enclosed in extremely tight confinement. When used as a means of execution, the prisoner is simply left to die from starvation or dehydration. The White Lady is the name of a female ghost that lives in Verdala Palace. Legend has it that many years ago, a woman was to be married to a man she did not love. Her father told her that she must always do as her fiancé said since he was soon to be her husband. On the day of her wedding, she committed suicide by jumping off a balcony. 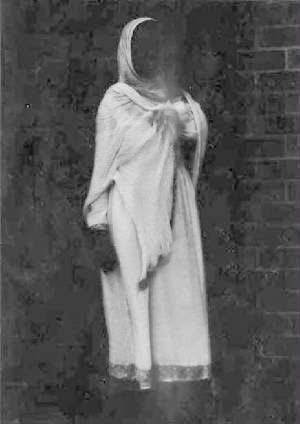 This is why she is to this day known as the White Lady, because she was wearing her wedding gown on the day of her death. It is said that she haunts the Verdala Palace and many people who attend the August Moon Ball there annually confirm that she does indeed appear in the palace. Called Dama Branca or Mulher de Branco in Portuguese, the Brazilian Lady in White is said to be the ghost of a young woman who died of childbirth or violent causes. According to legend, she appears as a pale woman in a long white dress or a sleeping gown, and although usually speechless, will occasionally recount her misfortunes. White Ladies are popular ghost story topics in the Philippines. White Ladies are often used to convey horror and mystery to young children for storytelling. Sightings of White Ladies are common around the country, and usually every town and barrio has its own "White Lady" story. The most prominent one is the White Lady of Balete Drive in Quezon City. It is said that it is the ghost of a long-haired woman in a white dress, who according to legend, died in a car accident while driving along Balete Drive. Most stories about her were told by taxi drivers doing the graveyard shift, such as the one where a taxi crosses Balete Drive, and a very beautiful woman is asking for a ride. The cabbie looks behind at the woman in his rear view mirror and sees the woman's face full of blood and bruises, causing him to abandon his taxi in horror. The best-known White Lady of the Czech Republic is the ghost of Perchta of Rožmberk at Rožmberk Castle. Perchta of Rožmberk (c. 1429–1476) was a daughter of an important Czech nobleman, Oldrich II of Rožmberk. She married another nobleman, Jan of Lichtenštejn (John of Liechtenstein) in 1449. The marriage was quite unhappy. One of the reasons might have been the fact that Perchta's father had been reluctant to pay the agreed dowry. Legend has it that as her husband was dying, he asked for her forgiveness for his treatment of her. Perchta refused, and her husband cursed her. This is why she haunts his holdings, which include Ceský Krumlov Castle, where she has been seen most often. 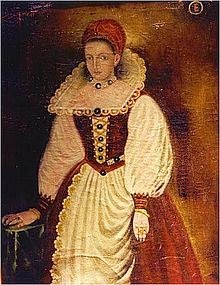 The most famous white lady of Estonia resides in Haapsalu Castle. She is said to be the woman who a priest fell in love with. She hid in the castle as a choir boy, and remained a secret for a long time. But when the Bishop of Ösel-Wiek visited Haapsalu she was discovered, and immured in a small chapel for her crime. To this day she is said to look out of the Baptistery’s window and grieve for her beloved man. She can be seen on clear August full-moon nights. Whether some of these legends of "women in white" are based in fact, one only has to look up historical records to learn that some of the women did indeed exist in the past. But do they now haunt these locations as ghosts because of their tragic circumstances? That is the job of paranormal researchers to explore further. 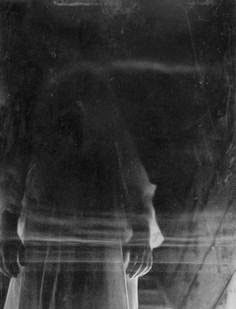 They say ghosts are made up of electromagnetic energy and perhaps these poor souls are contained anguished energy trapped in a dimension where time has no meaning. Are they condemned forever to relive their horrible deaths or deeds over and over again? No arguments that ghosts are big business in the tourist industry. Especially if you have a run down castle or palace in desperate need of funds to restore it back to grandeur. What better draw than having your own ghostly "Woman in White" roaming the decaying halls, highways or graveyards to giving you an economic edge over other tourist attractions. These "Women in White" become part of the surrounding townspeople's personal lore and history and often with affection that is not something they want to give up easily.